We are pleased to announce the 2012 TVC Recognition Award goes to Bart and Debra Welch. 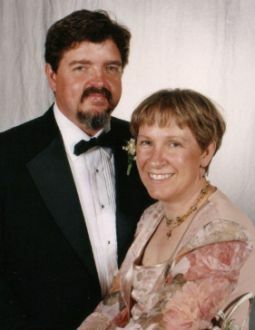 Bart and Debra love to dance and have been square and round dancing for thirteen years. They are enthusiastic dancers and will be seen on the floor moving to the music, clapping when others dance, and "whooping it up" to encourage the square. Sometimes known for their humorous pranks, they are fun to be with and fellow dancers always love dancing with them! Bart and Debra are also known for a steadfast work ethic, always stepping up to lead or help with an organization when needed. They have held multiple offices for most all of their 13 years of dancing and there has never been a job that they aren't happy to do. They not only strengthen the dancing community by example, but are experts in getting others involved. They are the ultimate leaders, both at the club and council level. As past Past President of TVC, Debra believed the strength of TVC was a reflection of the involvement by all TVC clubs and its members. Spending hours on the phone texting, talking and making contact with people to ensure that tasks were distributed and carried out by a cross-section of TVC club members, she stressed the importance of club involvement when surveying and discussing issues relevant to the clubs. Bart and Debra are fun loving, hard working, and charismatic.